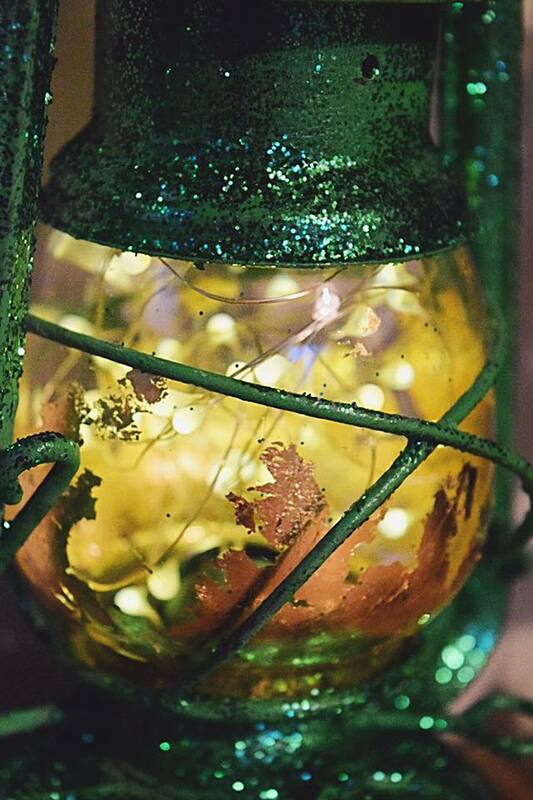 If you want to add a bit of sparkle to a windowsill, welcoming porch or mantlepiece but without the worry of candles or tealights then you might like to try making my glittery Christmas lantern. It’s super quick and easy and one that children might enjoy too. 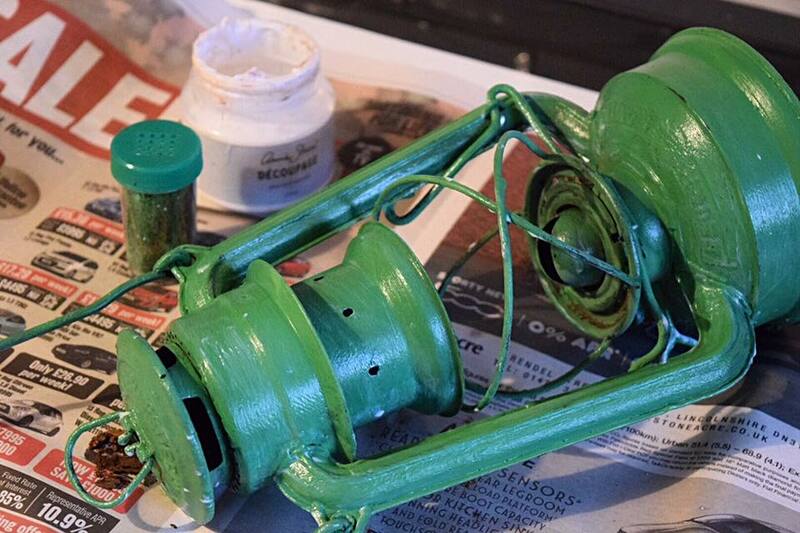 I found this old lantern and decided to give it a couple of coats of Amsterdam Green by Annie Sloan. As you know I like a rustic finish so I didn’t worry too much about sanding back but applied plenty of texture to cover any imperfections in the original finish. Once dry I used decoupage glue and varnish (now called image transfer medium) all over and scattered some left over glitter in a shaker. You can choose whatever colour you like but I think picking tonal sparkles really works keep it to a subtle kind of bling! If you don’t want to go for glitter but love texture, I’d recommend using Saltwash instead for a lovely seafaring found look! 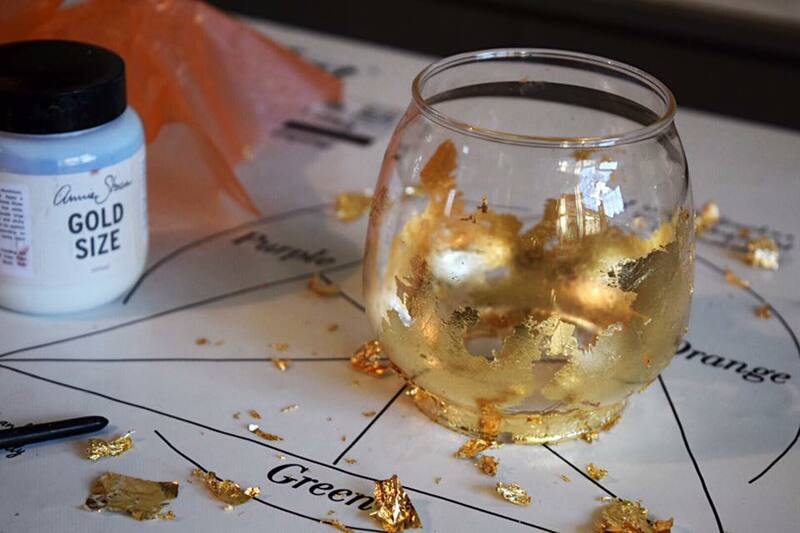 I then turned my attention to the glass insert that sits within the lantern and randomly applied a little Gold Size around the glass, (include plenty at the base to cover the batteries). This is a glue especially for using with brass, silver and copper leaf. Once it dried to its tacky bluish translucency I gently applied brass loose leaf, softly brushing away any excess. This allows light to shimmer through the clear bits of glass giving the illusion of candlelight. 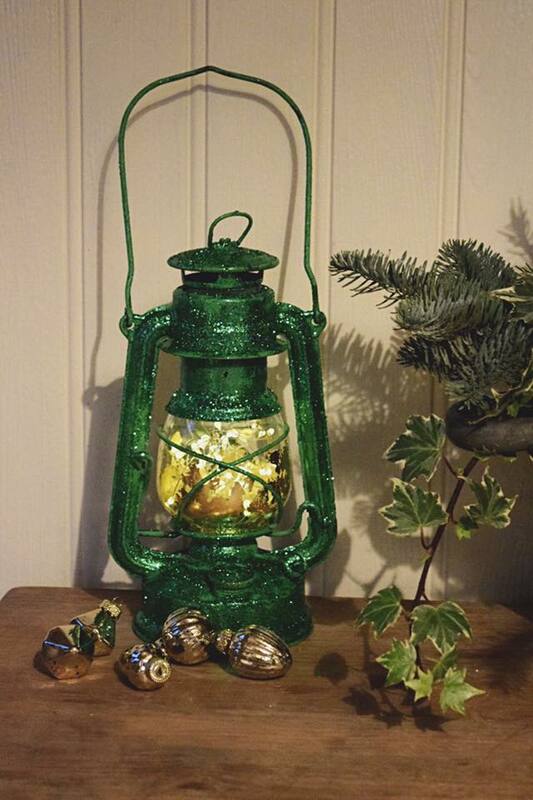 Instead of candles I grabbed an affordable set of battery lights with a warm yellowy glow to work against the forest greens and popped them into the glass holder and reassembled the lantern. Ta-da! There you have it! 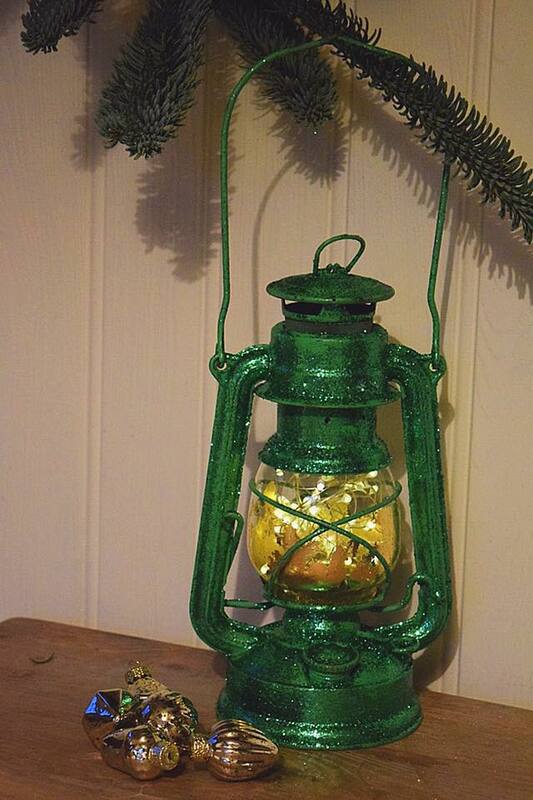 A shimmering seasonal lantern that you can move safely from room to room and place at the window to welcome all your Christmas visitors. Have you done anything similar? 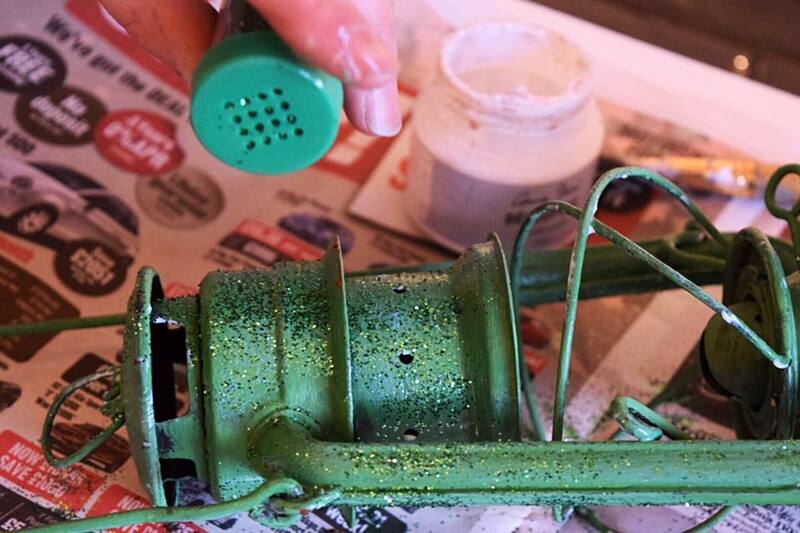 I’d love to see your upcycling projects, please comment below or share on my Facebook page.